Generally, Spain is a country that is visited by many people. However, Malaga specifically, is one of the people’s favourite destinations. The province is culturally and historically rich. It provides many touristic attractions that are undoubtedly worthy of your time. Not only is it the perfect place to visit, but also to live! For many different reasons, numerous foreigners have decided to leave everything behind and start their new lives in Malaga, Andalusia. Malaga is the most developed province from Andalusia. It is located on the south of Andalusia, by the Mediterranean coast, and is surrounded by 5 other provinces! Because of its rapid economic and touristic progress over the last two decades, Malaga has become the centre of communication with other countries. Trains and aeroplanes can transport you to any destination you would want. The now-expanded-airport welcomes thousands of people per year. It is easily accessible from any region in this beautiful province. Those stunning haciendas and cortijos in the countryside of Malaga await you from the moment you get out of the plane! As an integrated foreigner myself, I hear the different languages around me. When I walk through streets or when I’m enjoying a few tapas on a terrace. A combination of the Andalusian dialect combined with English, French, Dutch, German and others, make this province an incredibly rich and multicultural paradise. A Spanish tradition that is honoured by everyone is the holy week, known in Spain as the Semana Santa. In Malaga, this Easter week presents religious processions that are some of the most beautiful and spectacular ones from Spain! Antonio Banderas, originally from Malaga, comes back this specific week to form part of this deeply rooted tradition. In the last few years, the city centre of Malaga has been renovated and became bate for worldwide tourists. 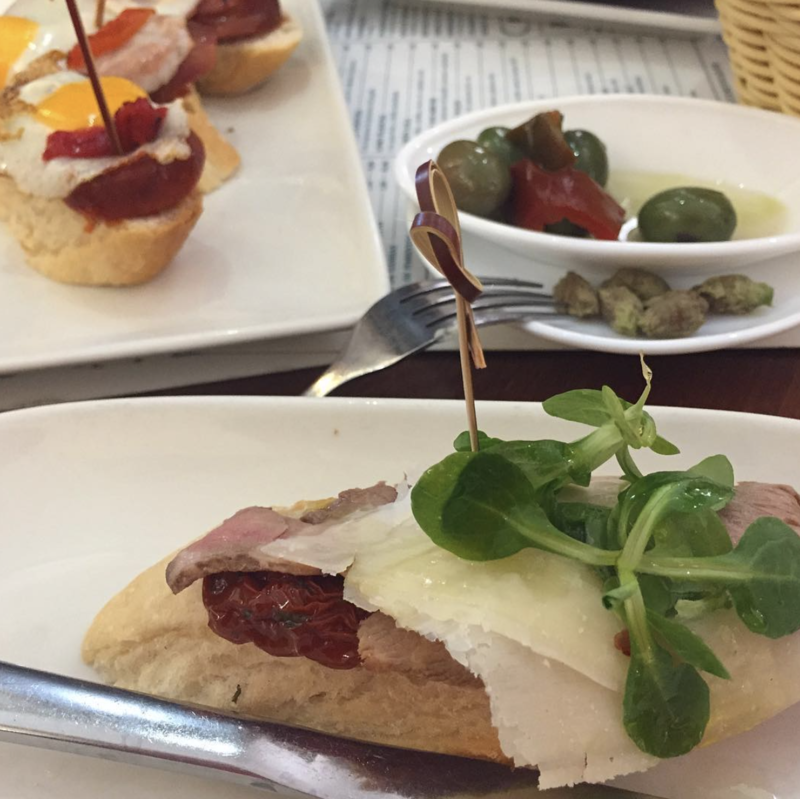 Film evenings, flamenco shows, and fun evenings at the local bars make the picture complete. Their port, one of the most important ones in Spain, is the arrival point of cruise ships. It takes in thousands of people each year who wish to see this marvellous city! Furthermore, Malaga is the birthplace of the painter we all know: Pablo Picasso. His museum, a smaller version of the Pompidou museum, along with many others, are open to visitors throughout the year. Art museums have opened, but let’s not forget the stunning architectural monuments built by the Romans and the Arabs. An example is the Alcazaba, the Moorish palace. This was built upon Roman ruins, intended for defence against pirate attacks. Ronda, Casares and Ojén truly stand out from the rest. Ronda is very well known for its spectacular views from the famous ravine, as well as its delicious wine. Casares is charming, loving and only 10 minutes away from the coast! 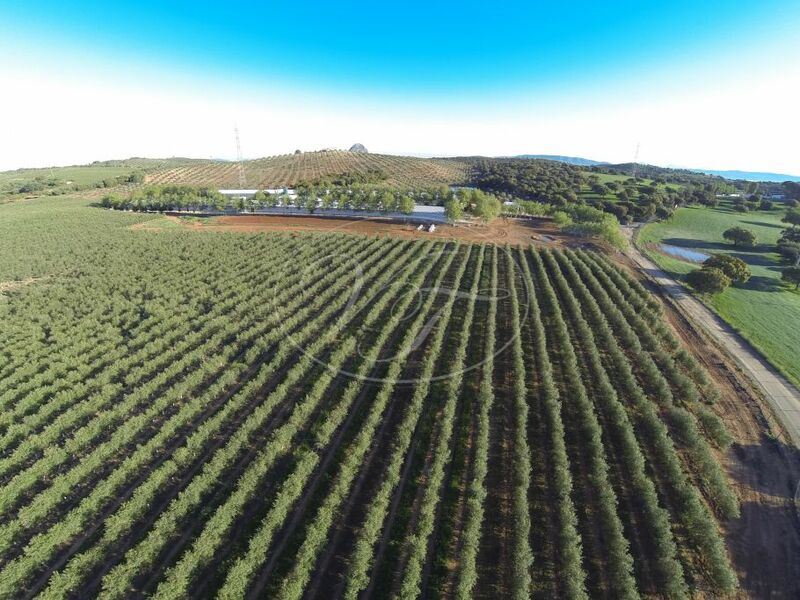 For those who like outside sports, Casares is ideal! Several hikes in the Sierra Crestellina, the Sierra Bermeja, the Utrera, and many different climbing routes have been indicated. Finally, Ojén, is located in the mountains behind Marbella. Ojén is perfect if you need the peace at home, but don’t mind a vibrant life on the coast. It is in the middle of two worlds, the Andalusian and the micro-Marbella life. Villages like these make the perfect place to live. You are living the ultimate Andalusian lifestyle, in the countryside, still being completely integrated with what happens around you! Possibly these intense sports are not quite your cup of tea, but perhaps golfing is? If this is the case, then the province of Malaga will again reach the top international destination! The well-known region Marbella, on the Costa del Sol is considered Europe’s golf capital. This will ensure you, you are in the right place to practice golf. Only half an hour away from Marbella, the luxurious and internationally high rated golf course El Cortesin is situated, where we have for sale some beautiful golf side villas for sale. Moreover, all those who live in Malaga have heard either of “El Chorro”, or “El Caminito del Rey”. They are both hidden around the village named Álora. 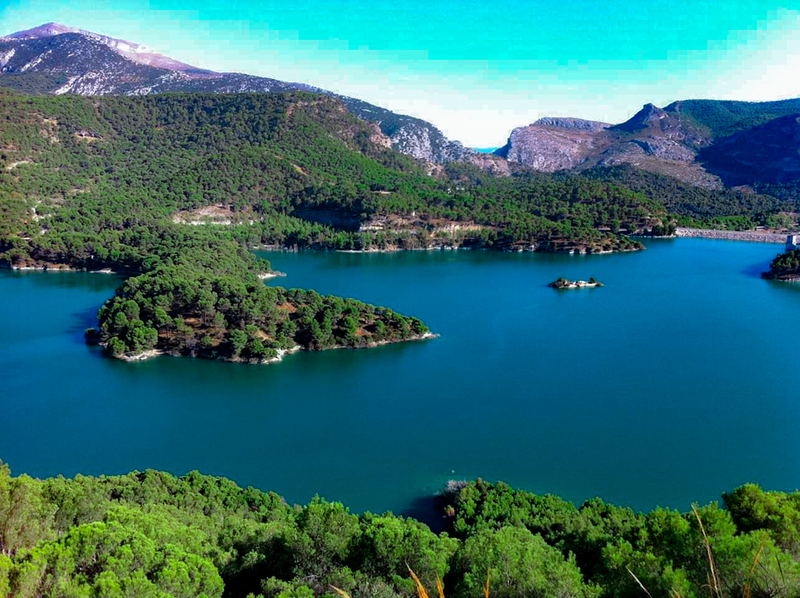 El Chorro is a natural park with a very large lake where one can camp, swim, hike and climb. It is visited by the locals, who later invited the foreigners. Also, this place is one that cannot be missed out on! Also, this place is one that can not be missed! There are several well-known restaurants in the area, with delicious homemade food. Sit and relax, enjoy a good wine whilst looking out at the views, here they are unbeatable! Day or night, El Chorro gives you peace and tranquillity, it is a magnificent and privileged place, worthy of being on your to-do list. When Malaga was controlled by the Phoenicians, Arabs and Romans in their respective times, it became the centre of commercialisation. Economic growth and prosperity took place then and still does today. These three civilisations pushed Malaga and created a prosperous and attractive province. They have all left Malaga with a legacy that shall not be forgotten. The rests of their control only make this province more attractive for those who want to visit. Malaga has become an industry of tourism because of its perfect climate and numerous activities that are available. From all over the world, there are those who wish to visit the modernised city and loving white mountain villages. The lively coast and of course, the wild beauty of the surrounding mountains. As any other province, Malaga also has its stories and legends. A very famous one supposedly took place in Antequera; people know it as “La Peña de los Enamorados”. This mountain looks like a resting head of a native American. The legend tells that two lovers, a Christian boy and a Moorish princess, were persecuted by her father’s soldiers. To not be separated, they jumped from the cliff to be together for eternity. The climate is the Mediterranean, having dry and warm summers with short, temperate winters. Further inland, the climate is slightly more continental, resulting in colder but dry winters and warmer summers. On average, 300 days a year the sun shines and puts a smile on those who live there. At the coast, it seems like the winter never comes! The Mediterranean sea regulates the temperatures, therefore the average temperatures vary between 17 and 23 degrees Celsius. 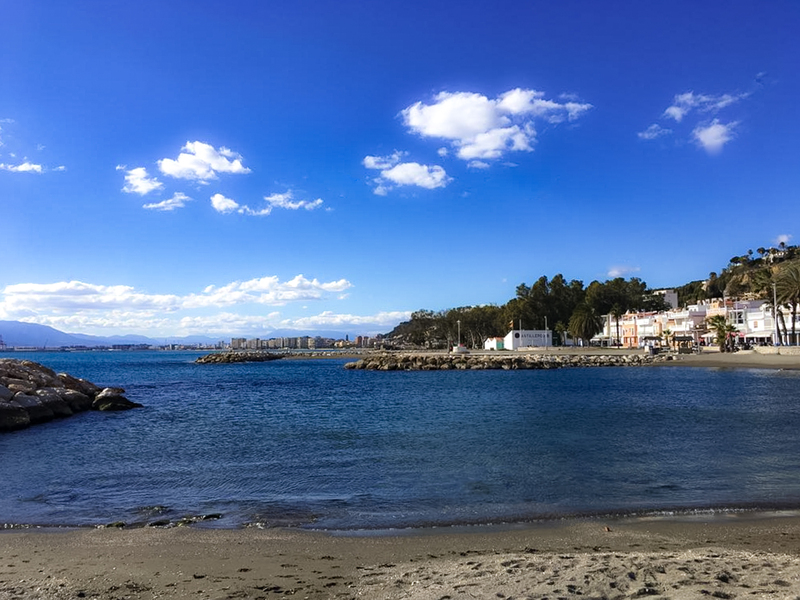 Sometimes it even feels like a microclimate within Malaga has been created that keeps the clouds and the rain away. Beautiful Malaga, you have to visit it to feel it!